The Solent and surrounding area is alive with activities such as bird watching, powerboat racing and sailing. 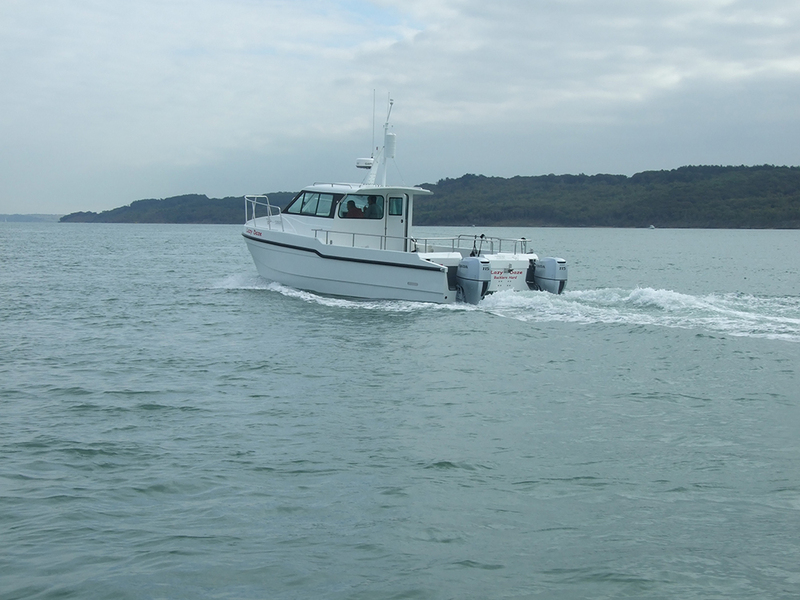 a 9 metre Cheetah Catamaran, built to fish! 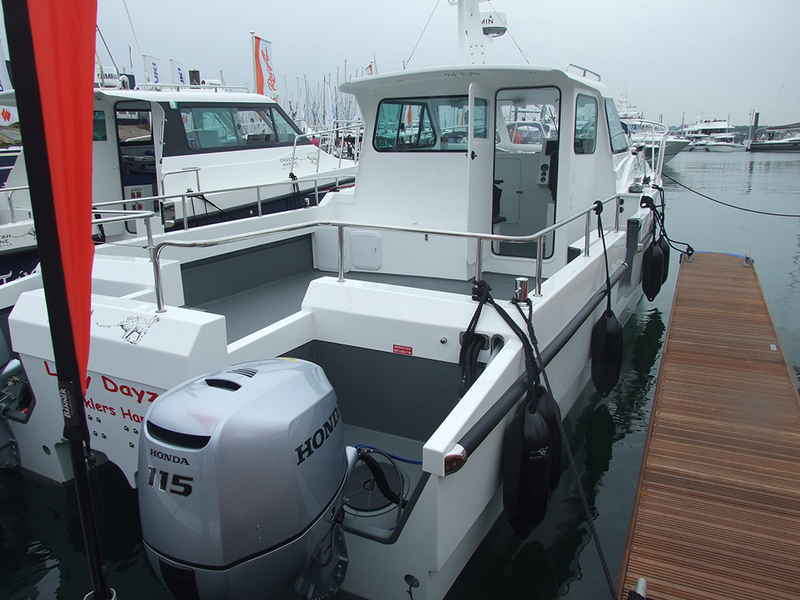 Lazy Daze is a 9 metre Cheetah Catamaran built in 2014 and powered by twin 115 hp Honda Outboards. It is fast, stable and quiet, a perfect platform for fishing, sightseeing, photographing or just messing about on the water. 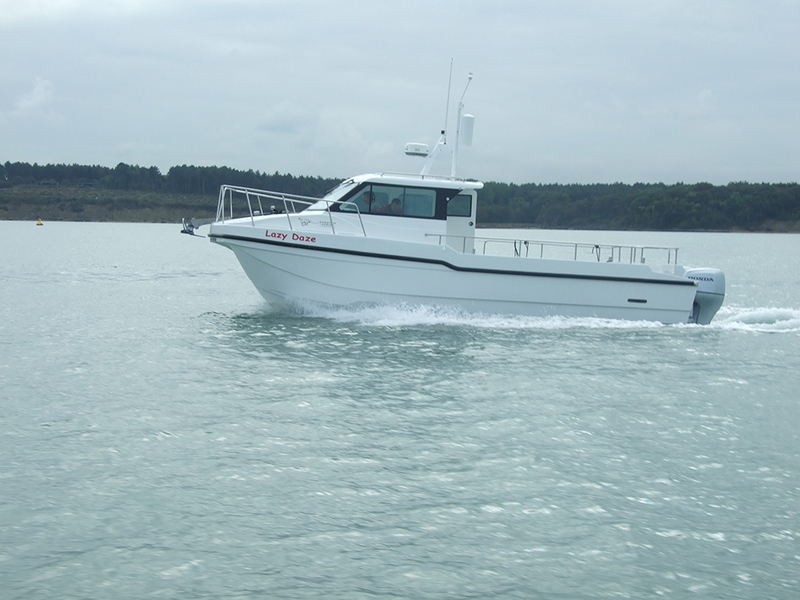 Lazy Daze is coded to carry 8 passengers and is moored at Bucklers Hard on the Beaulieu River; the boat is available for a 2hr river trip to a 2 day fishing adventure. There is free parking and toilets on site, and pontoon access to the boat. 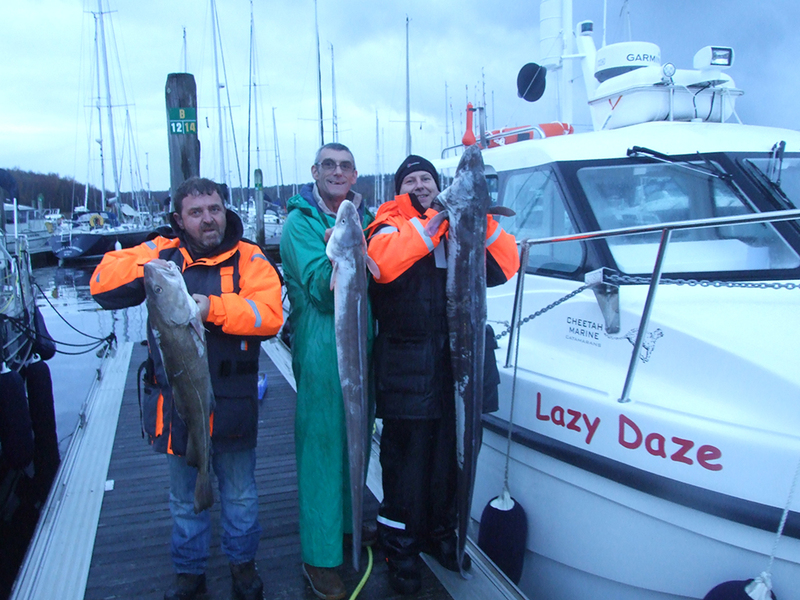 The needles and Solent area has some of the best fishing in the country. That was worth staying up late for! 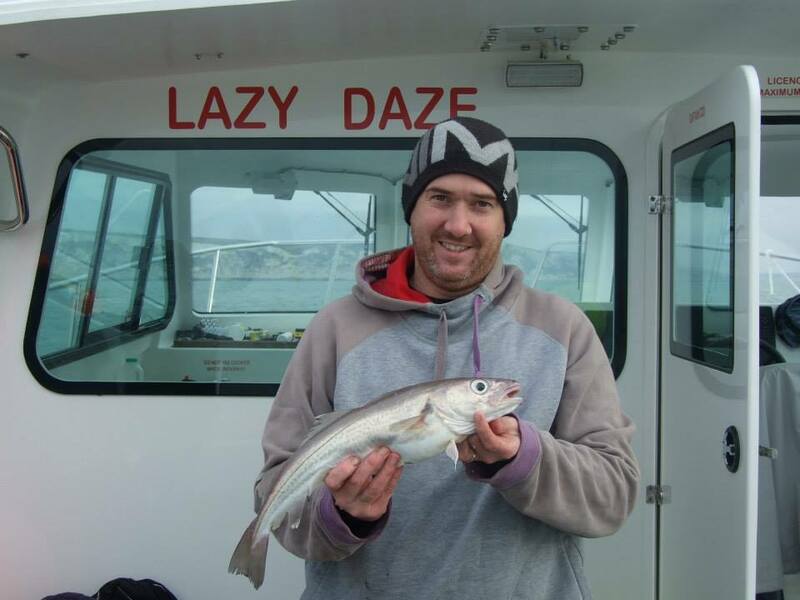 The Solent and Needles area has some of the best fishing in the country, whether you want to spend a few hours in the spring and summer fishing for bream and smothhounds, or targeting large cod and sole in the autumn and winter there is something to suit everyone. Full tuition will be given if needed, rods bait and tackle are available if needed at £10 Per Day Per Person. Trips can be Half Day / Evening, Full Day Solent or Full Day Needles, or multi day trips returning home or staying somewhere on the IOW. The Solent and surrounding area has much to offer, from the picturesque creeks of Newtown and Yarmouth, to the sailing centres of Cowes and Hamble, and with Ocean Village there is something to suit everyone. You could take in a trip to view the famous Needle light house, passing Hurst Castle, and then stopping at Yarmouth for refreshment. You can take a slow trip along the Beaulieu River from Bucklers Hard, then cross the Solent to Cowes for a short stay, and then continue along the River Medina to the islands capital Newport. The combinations of what to do are endless and will much depend on the weather, numbers, and age, please phone for details, all trips can be tailored to suit your needs. 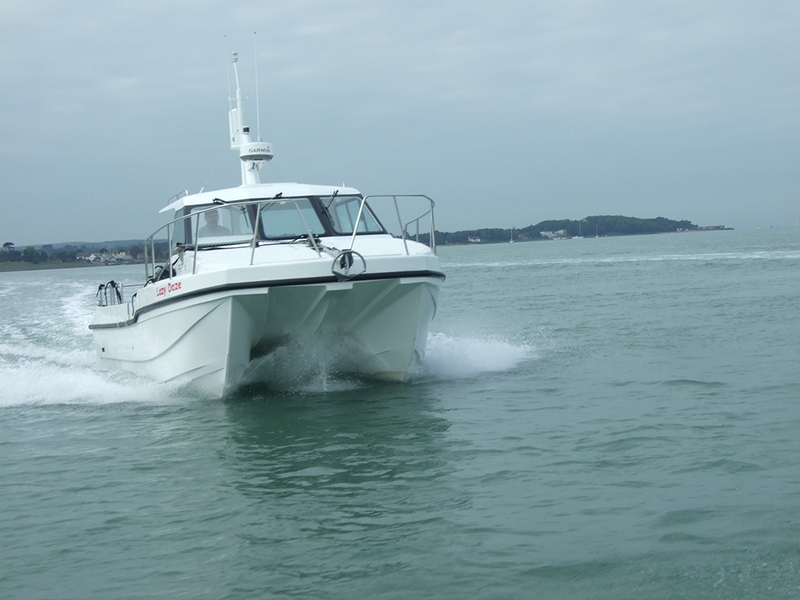 Half/Day Evening trips to Cowes and Yarmouth can be as little as £25 a head for a party of 8.